Maurice Watson Jr. is one of the best people I have ever had the pleasure of meeting, let alone calling one of my best friends. He was one of the first friends I made when I went away to college and couldn’t have been kinder to a clueless, overwhelmed freshman version of myself. In the years since we have only become closer, often using each other as motivation to work harder. This year was an awesomely interesting one. While hoping not to jinx my current good health, Mo hasn’t seen me injured since we first met in 2013. Not only have I stayed out of casts and out of the hospital, but I’ve gotten progressively stronger with my bone condition. Things continue to be on an upswing. Should I have any control over the matter, I’m going to keep getting stronger and not allow the days of broken bones to return for as long as possible. It’s easy to find motivation when you are watching your big brother take on a big challenge and succeed. 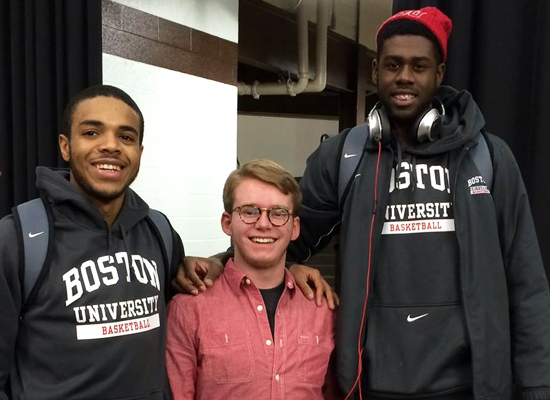 Mo transferred away from Boston University after his sophomore year and my freshman year. He’s since been at Creighton – looking to make a national splash against future NBA players on a huge stage. There were plenty of question marks with this transfer, whether or not he would be able to make such an impact, if he’d step up to the plate, or if we’d stay friends even with the new distance. The great news? It was an overwhelming “Hell Yes” across the board. I can proudly say today, on Mo’s 23rd birthday, that he was just named to the All-Big East second team for this season after turning Creighton into an offensive war machine and leading the conference in assists this year. Make no mistake, not only could you easily make the case that he should have made the first team, but the only people ahead of him are going in the first round of the NBA Draft this summer. Creighton has turned around, and Mo has been a centerpiece to it. He’s someone that can be easily overlooked for understandable reasons – he’s the new kid in the conference and shorter than what is normally found to be successful. I too was that way when I got to college. We both know that that will never stop us. Maurice is an amazing player and an even better friend, as everyone who knows him will tell you – certainly I will. To my big brother I say thank you for being so amazing, congratulations on such an amazing season, keep grinding as the Big East tournament begins tomorrow, and most importantly – Happy Birthday, Big Bro.